Online tutoring jobs are the professional jobs available on the internet to earn money teaching part-time from home. The online teaching jobs are for professionals since it’s the part of educating someone to change their career. So, this is not a playful job but still, there are chances available for the novice who are interested in teaching. This article is for both the beginners and the professionals to gain an understanding of part time teaching jobs. Is online tutoring job worth? Definitely yes for people who can understand the trend! Every business in the world works according to the trend and so do the education industry. Tutors who can implement their plans using their knowledge according to current trends to gain success. You’ve made a great decision to work as a freelance tutor. There are thousands of online tutors who earn thousands of dollars every month teaching online and you’re here to join their community. If you’re looking for more opportunities other than teaching, feel free to check out freelance work from home. Online tutoring jobs are the jobs related to educating one or more students with help of the internet. The technology helps us to connect people from different regions in the world. The same technology has been introduced in online education in order to teach students virtually. In simple, the basic concept of online tutoring is the process of teaching a student from home through virtual classroom technology. The student will stay connected using a PC from home and the teacher from another place to teach. The virtual classroom is just the basic and there are several other ways the tutors can implement online tutoring from home explained in the upcoming session. Launching an online course is the best way to start an online teaching career which works great both for beginners and experts. The online courses are the education program launched on the internet. Launching online courses in the online learning platform are the trend to teach online. The tutor would have to create learning materials such as videos, articles, eBooks, applications to launch an online course. The online course should be the best option if you’re looking to earn money teaching online. Because online courses can reach people all around the world who are interested in learning. Since there will be no limit in subscriptions, the online course can be sold for very cheap price considering the theory of infinite subscriptions. It’s a one time expense for creating the online courses. So, it’s wise to reduce the fee to reach out to more people and brand yourself. For example, $1000 spent for course creation, selling it to 10 students for $100 per subscriber can fetch $1000. At the same time selling the course for $20 will attract more students. 100 subscribers will generate $2000 at the same time you will get a good exposure. It’s the internet which can bring recognition to your teaching career. There won’t be anything more about launching online courses in this article, I’ve written a separate article on how to create and make money selling online courses. Virtual classroom technology plays a significant role in online tutoring jobs. The virtual classroom technology is also known as the Virtual learning environment(VLE). The virtual classroom is the online classroom, that allows the participants to view, share, interact, communicate with one another. Unlike the, pre-recorded teaching materials, VLE technology helps the tutors and the learners to participate virtually. The live interactions make the participants enthusiastic, energetic, lively while watching the pre-recorded video will boring, repeated, make us feel uncertain, result in loss of interest. The tutors with the real passion for teaching who likes to stay connected with students should definitely consider getting hired by the online company that supports virtual training. There are a lot of online tutoring sites listed below those hire tutors to teach in the virtual learning environment. Coaching grade subjects to the school students, teaching new languages, are the most available online tutoring jobs in virtual teaching. Are you an expert in something? Then this is for you! Virtual assistance is the process of guiding the person who lacks knowledge partially or fully to solve a problem. This kind of job is more like project-based assisting the person/company till they resolve the issue or guiding to complete the research. Virtual assistance is not only fixing issues, but there are also several categories available in virtual assistance. Sometimes, the assistor will need access to the source to fix the problem. To make you understand clearly here are some of the examples of virtual assistance – Guiding someone to fix errors(troubleshoot), business consultation, financial consultation, work as a virtual assistor for a boss to guide him throughout the day, giving career advice, legal advisor, market research etc. Virtual assistance is the gift of technology helping millions of people around the world to earn money from home. Though virtual assistance does not directly come under online tutoring jobs, it is must for the tutors to know that the internet gives them a chance to implement their knowledge in a somewhat different way other than regular teaching. The webinars are the seminars conducted over the internet. Webinars use the same virtual classroom technology but this is for advanced tutors. Usually, the webinars are conducted by brands inviting the field experts. But, since the internet is the place with fair chances, people with skills do webinars. In the real seminars, it will be held in an auditorium where hundreds of audience listen to the live speech of facilitator. But, in the case of webinars, it provides the opportunity to the audience to participate in the seminar just by sitting at home using a computer or smartphone. Few webinars offer the opportunity to interact with the facilitators. Make yourself a brand in your field of expertise. Connect yourself to the experts throughout the world and get a chance to conduct webinars. Experts doing webinars will be paid more for spending few minutes in the program. Few experts conduct webinars as an individual to promote new products by sending the invitation to their followers and subscribers. Blogging is the simplest way to share your knowledge with the people. This itself is a blog and I’m sharing my knowledge to you. I’m not a tutor or a professor. I’m an engineer, a webmaster love to share my knowledge with people who are in need. 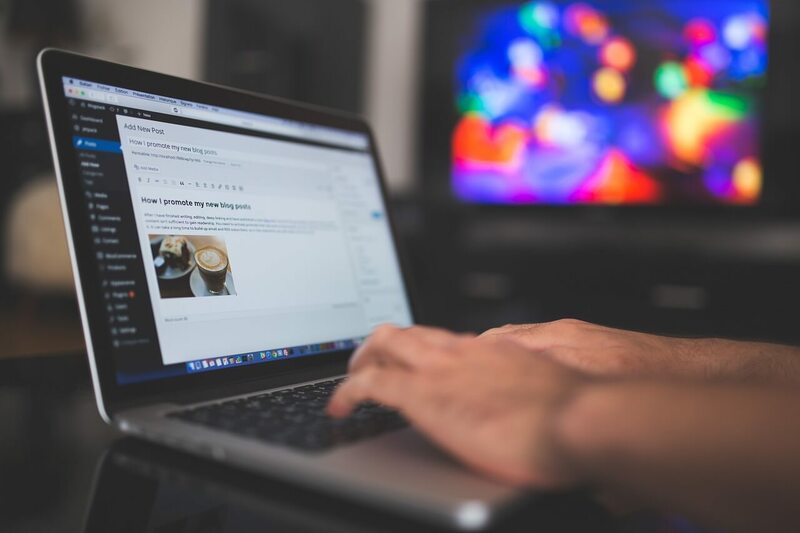 Blogging is great for beginners and people who feel shy to face the students. Choose any topic to write. Even if you’re not an expert and got the urge to write, there is nothing bad in learning. Blogging is the only career that provides the opportunity to learn and work at the same time. It will take months to understand the process of blogging and even years to master. The downside of blogging the timeline. Nothing happens instantly in blogging. It will take months to a year to feel the success for beginners even if they spend most of their in developing their blogs. Blogs are free, open source for the readers. But how do they make money? Usually, the bloggers make money publishing ads on the websites. Intermediate bloggers make money recommending third party products and services. Advanced bloggers sell their own products and also publish ads to make money. These are the different ways to earn money teaching online. Few jobs are directly related to the teaching career while few jobs listed above not directly related to the teaching but one or other way its a kind of teaching. It’s important to know what are all the possible way to share the knowledge and at the same time earn money without giving up the passion. There are certain requirements that online tutoring sites might need you to submit in order to get hired. If you’re going to create your own online course and publish it in a learning platform, then no questions will be asked as long as the course meets their terms and publishing guidelines. The requirement to become an online tutor will vary in each and every site. Here I’ve listed some of the basic requirements to get started as an online tutor no matter whether you’re asked or not. The certifications are going to be the most important requirement if you’re planning to become an online tutor. The certificate accredited by an authorized body is going to be the basic requirement in any job. Legitimate online teaching sites are going to verify your certificates before allowing you to get into their program. For example, few sites require IELTS or CELTA or TEFL to hire the English tutors. At the same time, few learning platforms don’t ask for such certificates. If you’re already certified, you’re on your way. Else, try to get certified whether it is required or not since will add value to your profile. Few online teaching platforms will hire the tutors those who can qualify the teaching assessment. Usually, this process involves taking basic tests and the tutor will be asked to create a test video. The experts will review the test and the video to rate the tutoring skills. If the rating is admissible, the tutor application will be accepted else the experts would give some advice to improve the teaching skills. Since you’re going to teach from home, it requires a set of devices to connect. This is very basic and almost everyone will have it at home. A Desktop PC or a Laptop, Microphone, digital pen & pad, and an HD webcamera or a camera are more than enough to start teaching online. In some cases, an earphone is required to interact with the student. Few online teaching sites work via the app-based platform that works on cell phone and Tablets. The VLE technology requires a high-speed internet connection to teach without any interruption. Get a direct high-speed internet connection without depending on Wifi and mobile data connections. 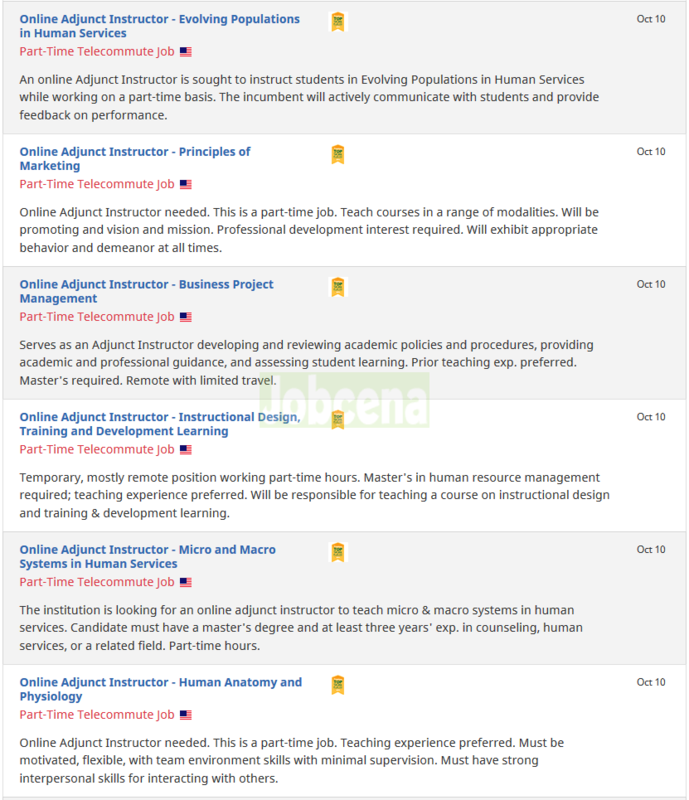 These are the basic requirements for online instructor jobs to start teaching online. It is important to learn the trend before getting into something blindly. The same applies here in online tutoring job. Though there are jobs available for the teachers of almost all the categories, here is the list of most popular online teaching jobs that have got demand for tutors. The online English teaching jobs are the most trending online tutoring job. Since ever the world has been interconnected, the English language has become the best tool for communication. So, people from non-English speaking countries started to learn English to stay updated. English is the main language in education, Information technology, research, and other major industries. This makes the English language courses and teaching jobs related to English one of the highest paying online teaching jobs. People around the world wish to learn English online because they can find the best available online English tutors. Getting trained by world-class tutor ensures the quality of training. If you’re an expert in this language got experience training English, become an online English tutor. Make use of online learning platforms, teaching sites and other sources to test and find the one that works best for you. Training the school and college students to learn their grade subjects is the locally popular online tuition jobs. Mostly, the students who are looking for online tutors to train their school subjects will look out for the experts available in near location. And at the same time, they expect the tutors to work in the school or college in the same board of education in which they want them to get trained. Teaching the school students in Physics, Chemistry, Computer science, Maths, Biology, Accounts, Commerce etc. And teaching the college students in Engineering, Medical, Arts, Science departments comes under this category. 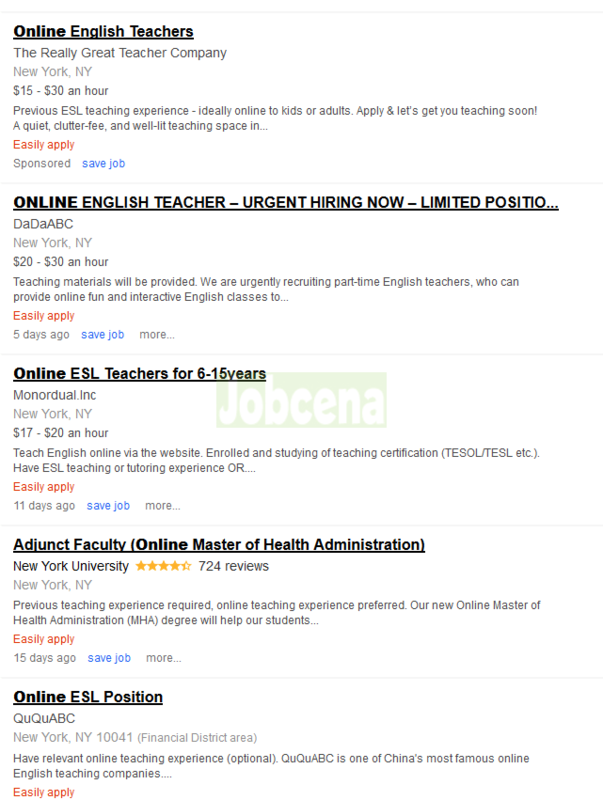 To increase the chances of getting hired quickly, it is advised to search for teaching jobs available near me in Google. Get into the sites listed in top results and check the availability of teaching jobs related to school & college subjects. Follow the instructions given there to get hired as an online tutor. Each site will have own set of terms, it’s your responsibility to accept their terms before applying for the job. This is exactly similar to teaching English. Here it’s training various languages to the leaner. Apart from English, people are giving importance to learn European, APAC languages to add an extra qualification to their profile. This increases the chance of getting them hired by a company. The most preferred languages are Español, German, French, Arabic, Mandarin, Japanese, Korean, Russian, and few more. If you’re the one with multi-language skills, launch an online course or get hired as a language teacher. Language tutors earn more than $100 per session for one on one virtual teaching. Implement your teaching skills in all possible ways to make maximum money. To be true, there are several free websites like W3schools offer a free platform to learn, test and train coding. And similarly, a lot of cheap online courses are available on the internet to teach coding. With a step ahead courses are created for beginners, intermediate and experts. This is the teaching field with an intense competition where only best of bests can survive. Getting a one on one teaching job related to programming is easier. So initially, the tutors’ target should find students who are looking for a virtual personal trainer. The marketing is the lifeline of all business that runs around the world. The factor called marketing plays an important role in promoting the products & services to the targeted customers. The marketing is very very important even for small online businesses. Without proper marketing, the business will remain zero at the starting point forever. Novice marketers are willing to get trained by the marketing talents to grow their own business and to develop their position in their job. Here are some of the examples of marketing courses – Social media marketing(SMM), Email marketing, Search engine marketing(SEM), Call center training, Affiliate marketing, PPC advertising, Market research, Marketing media, Infographics. In the case of marketing lessons, the blogs, online courses work well. This is not a hard topic to learn so people won’t spend much on hiring personal tutors. Android & IOS app development, web application development, web designer, website diagnosing tutors are earning thousands of dollars every month. Mostly in this type of teaching job, the tutor should train a person to become a fully qualified developer. The tutor must start from the scratch teaching all the coding required for developing the app. Assist the novice developer to develop an app or develop a website from scratch. Launching an app development course would not be the best idea since there are thousands of courses available on the internet for as cheap as $10. So, try to find the teaching job to train a student from scratch to make more money. 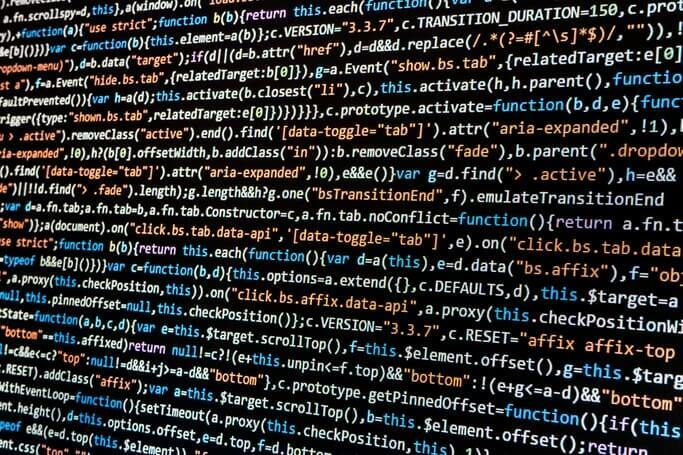 The Big Data analytics are used by large businesses to research, analyze, examine a large amount of data to discover the patterns and other useful insights. Big Data analytics makes it possible to move the business to the next level analyzing the data and getting the results immediately. There is a demand for experts in Big Data analytics. Anyone with proficiency in Big Data analytics has got a bright future both in the companies and teaching career. Become a personal career advisor to provide custom solutions to the people who are in need of assistance. This is possible for people who are already in the advisor field. The personal advisor needs to be a brand followed by the number of successful people living their real life. Create a Portfolio describing the past with success stories, testimonials, the way of training people to find their path of success. The personal career advisor can be anything related to training a person and assisting to reach their goals. It can be a mock job interview to give them practice, assisting till they find a job from creating resume till the offer letter reaches them, advise foreigners a job that works best in your country, positive motivation, counseling or anything, anything else that could change the future of a person or a business. Online tuition related to medicine and its category is a high paying online tutoring job. This job involves teaching medical students using virtual classroom technology. This is similar to some of the jobs listed above, except for the change in the subject. To apply for the teaching jobs related to medicine and science, the tutor should have proper qualifications. They will be hired only after qualifying several steps of the onboarding process. Pick one among the number of management streams to teach online. Finance, Business, Logistics, Human Resource, International Business management, Power management, IT, Marketing are some of the trending management courses. Get hired as a management tutor in hundreds of online tutoring sites available on the internet. The blockchain has become very trending since the rise in Bitcoin market value in 2016. The Bitcoin price had seen an immense incline which attracted millions of investors to invest in cryptocurrencies. The Bitcoin uses blockchain technology to operate. The blockchain technology is the process of managing the database of decentralized service with help of computing devices around the globe. In the later period, other cryptocurrencies had seen a rise attracting investors. Ethereum, Litecoin, Zcash, Bitcoin cash, Bitcoin Gold are some of the famous cryptocurrencies that have seen major growth over time. The Bitcoin cash, Bitcoin core, and Bitcoin Gold are the hard fork of Bitcoin to provide latest blockchain technology to the world. A lot of people shows interest in learning blockchain technology. Similarly, there is a high demand for blockchain technology related tutors. If you’re a blockchain expert, make use of this opportunity to create and launch online courses or search for the teaching job to get hired. These are some of the handpicked best sites to start your online teaching career. This section is categorized into three sections to make your tutoring job searching process easier. Each site has its own hiring process, make sure to check the eligibility requirements before applying for the job. In this list of best online teaching sites, find the companies that hire tutors to teach the students virtually. The tutors require a high set of skills to get hired in these sites. The beginners earn a minimum of $10000+ while the experienced experts earn more than $100000 per year. 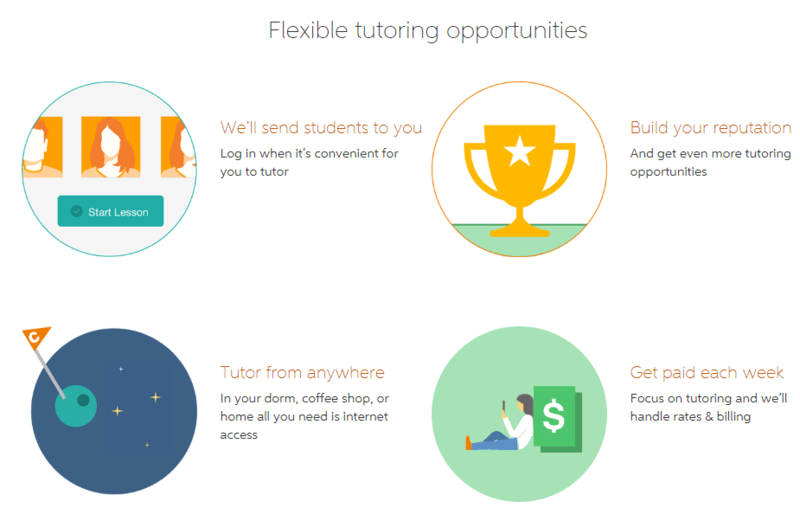 The Tutor.com is the best online tutoring site started in 1999. Tutor.com mainly deals with career-based online teaching like school subjects, college subjects, projects, etc. Every teaching session will be one on one and personalized to the subjects. Thousands of PhDs’, doctors, professors, teachers, pilots, skill trainers are part of Tutor.com to provide the best services to the students. Also, Tutor.com has topic-specific experts to provide customized solutions to the students. For example, students can choose to learn any of the internal topics of maths like Algebra, Calculus, Statistics, Trigonometry instead of sticking to Maths in general. To become a Tutor in the Tutor.com, the person has to complete a rigorous application process which might take up to seven weeks to complete. The image given below will help to understand the process to become a tutor on tutor.com. The services of Tutor.com is available only for US residents. The first step is creating an account to submit the application. Tutor.com will verify the application to screen people whom they think unfit for their services. After accepting the application, the tutor must take exams and pass to qualify for the mock session. If the tutor qualifies all these tests, they have to undergo a background test. After all these processes, the tutor will be hired to teach students. Tutorvista is currently hiring tutors Maths(preferred), English, Statistics, Physics, Chemistry and Biology streams for college grade and school grade. Even tutors from other categories are accepted at the time when there is a requirement. Tutorvista is open for both part-time and full-time tutors however they don’t accept freelance and ad hoc tutors. The tutor applying for the teaching job should be able to make their online presence at least for 4 to 9 hours per day especially in the evening and nighttime hours EST/PST. To get hired in Tutorvista, the tutors must have a Master degree in their subject. Tutorvista doesn’t accept novice tutors. They only accept tutors with a minimum of one year experience in teaching. Good English communication skills and knowledge to work on the computer is mandatory. 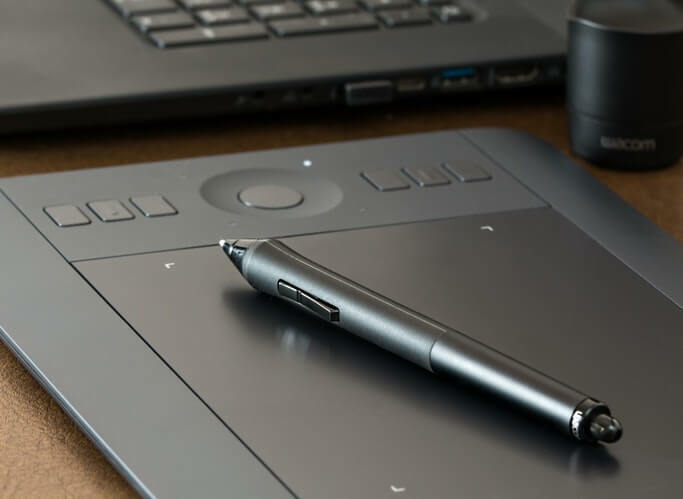 Tutors are advised to have a workplace with the following setup – Windows PC with internet explorer, mic & speakers, high-speed internet connection, digital pen & pad. To become a tutor on Tutorvista, you must undergo a strict onboarding process. The tutor must submit the resume to apply for the job. Tutorvista will get in touch after reviewing the application. Preply is an online language teaching marketplace, works differently when compared to the teaching sites listed above. To become a tutor in Preply, you should submit the pre-boarding application with the basic set of questions about yourself, educational qualification, certifications like TEFL/TESOL & TOEIC, languages known, preferred work time, hourly pricing etc. In the end, you must add the link to your introduction video. 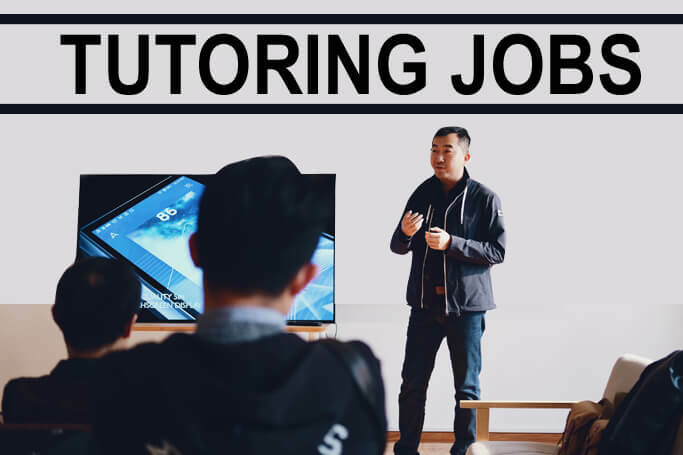 In the video, you must introduce yourself, teaching topic(s), teaching experience and other necessary details that would help them to hire you. Once hired, the tutor profile will be listed in the marketplace when students search for tutors. Students will hire reliable tutors. At the same time, the tutors can apply for the offers posted on the Preply marketplace. Preply allows the tutors to work in their convenient timing. Tutors can use Skype to train. Preply currently supports over 25 languages including English, Spanish, French, German, Russian, Italian, Japanese, Chinese. Successful Preply tutors earn a minimum of $550/week. If the tutors can make them available in the timing with high demand, they can even make more money. Preply feature to create a personal website to promote custom services help the tutors to brand themselves. So, the tutors also get recognition along with Preply. Chegg tutors is one of the oldest online tutoring sites started on 2003. Previously called as Instaedu, Chegg tutors have got thousands of tutors from all around the world in different streams. Chegg tutors provide the opportunities to teach in hundreds of categories from grade subjects to skill development in a focused category. The hourly price for teaching starts at $20. In average the tutors earn up to $1000 per month on Chegg tutors. Tutors must pass all vetting, verification, subject matter test, interviews, and background check protocol to get approval. Once approved, the tutor can start working at the flexible timing from anywhere and get paid weekly. Chegg is more than a tutoring site because it offers free study materials to the students. The Chegg study, Chegg math solver, Chegg book apps make it a great learning platform. Chegg helped about 180K students to find internship opportunities in around 100K companies around the world. So, as a tutor make use of the Chegg platform to improve yourself and earn money. The VIPKID is the Chinese based tutoring site open to tutors all around the world with a bachelor’s degree and teaching skills. VIPKID is a great opportunity for tutors who are looking to make money teaching the Kinder Garder children & children below eight years old. This is strictly one on one tutoring each session lasts for about 30 minutes. Hired tutors will be given 6 months contract to work which can be renewed later. 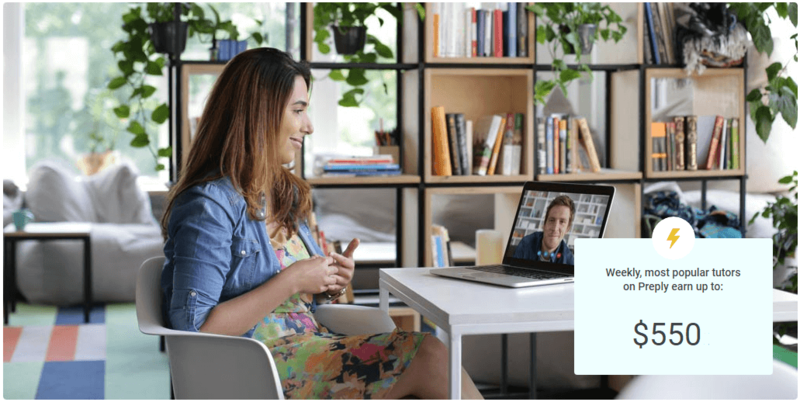 To become a VIPKID tutor, you must book an interview. On the interview day, VIPKID will evaluate the tutor for around 30 minutes. It is important to complete the interview without any connection interruption. The tutor should take a demo lesson during the interview and will be asked to interact with the child during the class. After the evaluation, VIPKID will notify regarding the qualification. The base pricing will be fixed based on the evaluation which will vary from $7 – $11/ session depending on skills. The tutor must able to connect the students without any interruption. Any lag in connection will result in negative reviews. The teachers will be paid using direct bank deposits on 15th every month. VIPKID is a recommended website for stay at home moms to earn money. The online learning platforms are different from online tutoring sites. While the tutors stay live connected to teach the students in online tutoring sites, here the tutors will pre-record the video to teach. In both the methods the tutor will involve in teaching someone but the mode of teaching is different. Teaching students through virtual classroom technology need good teaching skills. In the case of online courses, there are chances of another take if mistakes have been made. Tutors who failed to get hired in the sites listed above and tutors like to teach through online courses can make use of these learning platforms to earn money teaching. The Udemy is the best online learning platform in the world provides online instructor jobs in over 100’s of categories. Udemy doesn’t ask their instructors for any college degree, certification, or any other requirements. All the instructor need is the skill to teach. The experts of Udemy will help the instructors to evaluate their skills by submitting their test video. If the video doesn’t meet the minimum standard requirements to be an instructor, they will give free advice to improve the teaching skills. There are no restrictions in Udemy teach anything to make money. Launch courses in coding, business, music, IT, marketing, Science, Maths, Graphics, design, engineering, health, fitness, personal development, more and more and more. Udemy has millions and millions of members who are looking for online courses. Get yourself into it today to earn thousands of dollars every month. Udemy has got tons of training tools, course creation tools to launch the online courses. The trainer can launch multiple courses on Udemy. 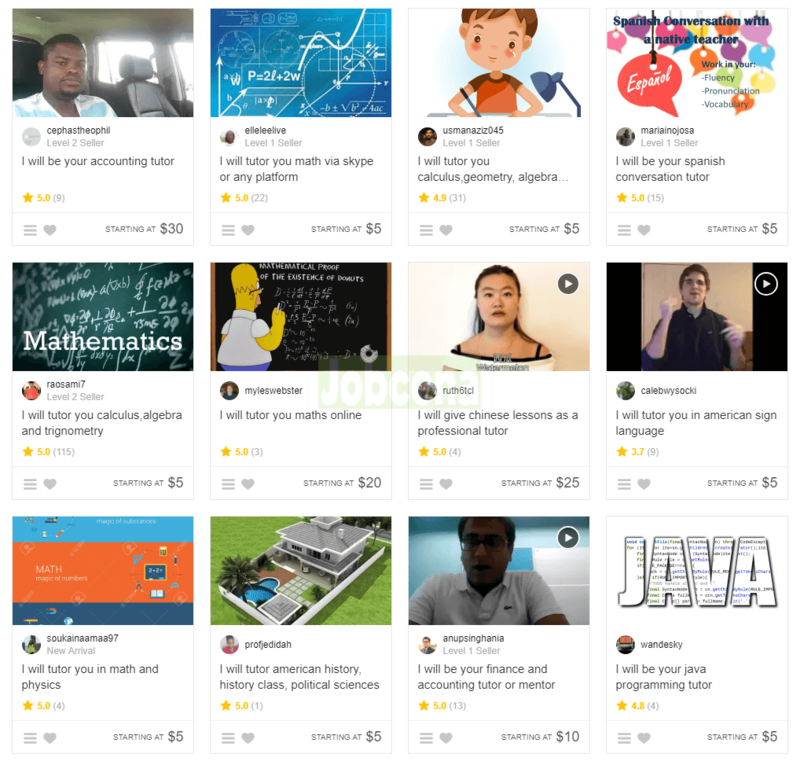 If you’re a tutor looking to expose your skills to make money, then Udemy is the platform for you. The online jobs employment sites are the jobs based search engines that help people to search job opportunities. Millions of clients, companies, industries, organizations who are in need of employees, post their jobs on the online employment sites to let the job seekers know that there is a job opening. The online tutoring jobs are one among the millions of jobs posted every day. So, feel free to search these employment sites to find part time online teaching jobs, online professor jobs, adjunct teachers vacancy etc. Indeed is the world’s largest jobs search engine available for people all around the world provides services in more than 28 languages. Thousands and thousands of online tutoring jobs, online professor jobs, online instructor jobs, part time teaching jobs, adjunct faculity jobs are posted every day by companies, individual clients, educational institutions on Indeed. Indeed.com is not only the place to find teaching jobs, but you can also find any jobs out there. With proper knowledge of using Indeed, you can definitely find a potential client to get hired. To find the online tutoring jobs on Indeed, it’s really easy. Create an account on Indeed, post the indeed resume. 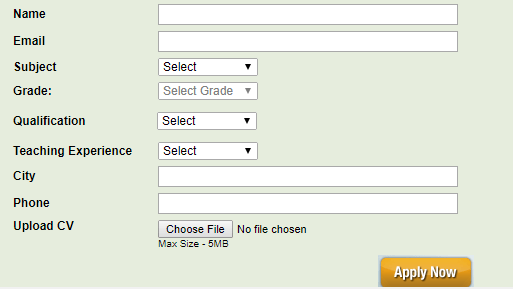 After uploading the resume, search for the online tutoring jobs posted by the employer using the search option. The jobs related to tutoring will be listed as shown above. Read the title and description of the jobs posted. If you’re interested, apply for the job. The employer will review your application and let you know the procedure of onboarding process. Indeed is the free job search engine and there are no onboarding process to join indeed. The Indeed.com is the place to find teaching jobs available near you and from different countries. Join indeed and get hired by an employer without any worries. From the name Flexjobs, it is understood that this is the place for finding convenient jobs opportunities. Flexjobs works similar to the Indeed.com where the job seekers should find the jobs posted by the employers and apply for the job to get hired. But, the Felxjobs is a fantastic resource for people who are looking to work from home or remote places, freelancers, career-oriented freelance jobs, search jobs in rural areas without moving to urban areas. Online tutoring jobs are posted in different verticals as you can find it above. Flexjobs is more professional when compared to the Indeed since Flexjobs is the paid platform. Since it is a paid job searching site, you can expect some quality in jobs posted on Flexjobs. The freelancing sites are the online marketplaces, specially designed to find freelance jobs. If you’re looking to work as a freelance tutor then these sites might help you out to find the clients who are in need of freelance tutors. Upwork is the world’s largest freelance site with over one million freelancers and thousands of clients. 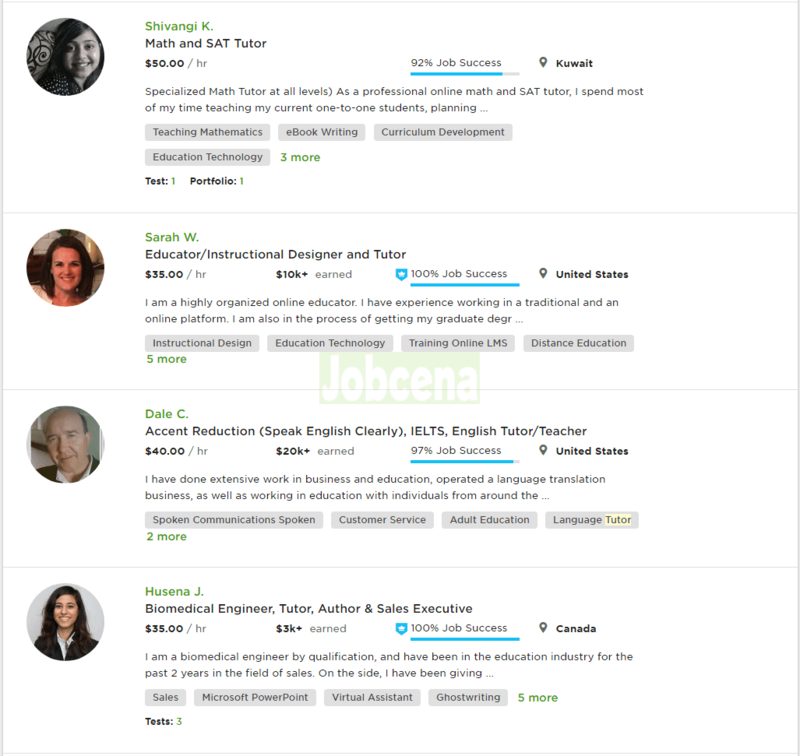 In Upwork, freelance experts can find jobs posted by clients. Freelancers interested in jobs should send a proposal to the clients. The client will hire the freelancer with a distinctive profile that fits their requirements. At the same time, the clients can directly find the freelance experts listed under 70 job categories. The freelancer will set the hourly price, the client should approach the freelancer in order to them in contract or hourly basis. Tutors who are looking for freelance tutoring jobs can find clients in hundred of verticals like school grade subjects, languages, technology, medicine, engineering, skill development etc. Create a free account on Upwork, complete your profile and apply for the freelance teaching jobs posted by clients. Maintain 100% job success to grow within the shortest possible period. Fiverr is the only place where you can sell both courses and teaching hours. It is the world’s largest freelance marketplace to buy and sell digital services and products. Online teaching is like providing service to buyers. Freelancers sell gigs on Fiverr. The gig is like a package of services offered to the buyer. The freelancer should list out all the services in the gig that the buyer will receive after the purchase like in the case of teaching give a title “I will be your maths teacher” and give a description “You will get 10 hours one on one training in Calculus”. Fiverr gigs are sold for a minimum price of $5. Fiverr also allows the seller to provide packages based on service provided. Like the seller can make it $5 for 30 minutes training session, $10 for a 1-hour training session or it can be like $500 for training the student to get ready for IELTS exams. Fiverr provides the most flexible services to the freelancers to make the best out of their skills. Online tutors should definitely consider the Fiverr as an option especially the novice tutors. Fiverr allows the buyers to rate the gig upon delivery, the seller should earn 5-star review consistently in order to survive intense competition. These are the 10 best sites/marketplace/companies to find online tutoring jobs. All the sites listed here are genuine, tested brands that will be online for a long period of time in the future. The most professional job both on the internet and in institutions. Work from home, remote places or anywhere. Best for stay at home moms & retired tutors. Availability of teaching jobs in hundreds of streams. Tutors can diverse their search mission to find the best working job for them – custom teasing. Different ways to teach – Create courses, one on one teaching, webinars, Hybrid classroom etc. Get an opportunity to meet students all around the world. One of the highest paying online jobs. Timely payment – Get your paycheck on time. Heavy competition. Tutors around the world compete for the same job. Skillful trainers will be successful in teaching online. This is not the place for developing the skills. Many online tutoring sites have strict onboarding rules. Most of the tutors should work on un time based on the student’s requirements. Mostly the evening & night hours. Not the best online job for techies – apply your knowledge in providing services to earn more instead of teaching. Hope, you would have got a clear idea about online tutoring jobs. Understand the trends, be updated, work as a skillful tutor with the commitment for the best future. Feel free to leave your comments about online teaching jobs, share if you’re working already and ask questions in case if you’ve got doubts.